Prime Minister Alexander Stubb speaks to reporters in Kortrijk in Belgium on Thursday. Stubb to attend the summit of EU leaders in Brussels. Photo Lehtikuva. 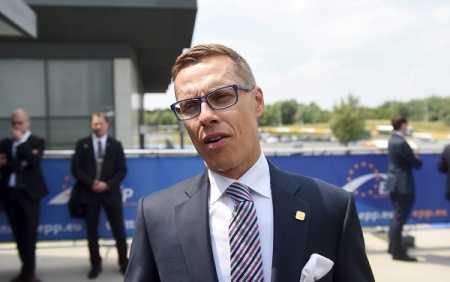 Prime Minister Alexander Stubb on Thursday said the strategic agenda of the European Union should be based on free movement of goods, services, money and people. “European economy has gone through a three-phase crisis: first a banking crisis, then a sovereign debt crisis, now a growth crisis. The situation is still very fragile,” said the premier in Helsinki ahead of the European Council, according to an official press release.